When you enter the B&F Compendium of Jewish Genealogy, you are presented with a list of 207 countries. Among them, I’ve seeded those countries and their provinces with over 1,200 resources. Collecting those resources was time-consuming to say the least. At some point I decided, however, to go a step further and look into adding resources at the city level. I knew I couldn’t add resources for every city, town and village in the world, but I thought maybe I could do so for one country. I decided on Poland because I knew there were a number of unique city-level resources available. In general, I didn’t add one resource at a time, but rather hundreds at a time. Otherwise there would be no way to get to the 10,000 resources I added. I wanted to take a look at some of the sources I tapped in putting together the collection on this site. One detail – I’m not making a distinction between cities, towns and villages – for the most part I use those terms interchangeable. Certainly most of the ‘cities’ for Poland are not more than towns, and in many cases tiny villages. One of the hardest things in putting together the city-level resources for Poland was making sure all the records matched the correct cities. When trying to connect resources from many different sources, it was sometimes hard to make sure that the towns referenced were the same ones. Many towns in Poland use the same, or very similar names. At first, I thought I could use the Province/County information to identify each town, before I realized there was no place that had a good reference of all of them. JewishGen and Virtual Shtetl had the data for the pre-WWI period and/or the interwar period, but not the modern period. I felt it was important to anchor everything based on the modern province/county information, just as I felt it was important to only collect information on towns currently in Poland. There has to be a frame of reference for collecting all this information, and I wanted it to be the current country/province/county data. After I put together a list of towns I intended on collecting information on, I then did something a bit crazy. I found the Wikipedia pages for every town, in both the English and Polish versions. By finding the Wikipedia pages, I was able to add not only the Province (Voivodeship) and County (Powiat) to my database, but the latitude/longitude coordinates as well. Armed with the administrative divisions and the map coordinates, I had enough information to, in almost every case, match up the records I collected to the correct towns. The Wikipedia entries, in addition to the official government sites for those towns, were added to a new section unique to cities, called General. Unlike almost all resources in the compendium, records in the General section are not specifically Jewish. Rather, they are intended as a kind of anchor point for the rest of the records, to insure we’re talking about the correct town. If you find a resource in the rest of the town section that doesn’t seem to match the town in the General section, then let me know. There are bound to be some mistakes. The General records are there, therefore, to help correct those mistakes. One thing to note about the official town web sites. In addition to Poland having a province (voivodeship) and a county (powiat), there is also a third smaller district called a Gmina in Polish, sometimes translated as a Municipality or a Commune. In some cases the city itself doesn’t have a web site, rather the city web site is part of the Gmina web site. In cases where the Gmina has the same name as the town (very common), and no specific town site could be found, I linked to the Gmina web site. I did something similar with the Coat of Arms for towns in Poland. When I couldn’t find one for the town, if the town was in a Gmina of the same name, I used the Coat of Arms of the Gmina. JewishGen provided four major groups of resources to Polish cities – the Community Database, the JewishGen Family Finder (JGFF), the Yikzor Book Project, and KehilaLinks. The other major resource groups included links from Virtual Shtetl, the IAJGS Jewish Cemetery Project, JRI-Poland, the Routes to Roots Foundation, Gesher Galicia, Geni, and two large Polish sites documenting Jewish cemeteries in Poland – Kirkuty.xip.pl and Złe miejsca dla ślimaków. In addition to these major groups, each of which contributed hundreds of resources, there were hundreds of other individual resources collected from a variety of sites including landsmanshaft sites, individual cemetery sites, contemporary Jewish community sites, etc. While I tried not to stray off-course too much in collecting these individual records (I hoped rather that these kinds of records would be contributed by users after launch) I found it hard not to add uniques sites that I found. Geni – While perhaps better known for their World Family Tree trying to connect everyone on the planet, Geni also offers user-created research projects. These projects can cover anything, but many of them cover specific communities that people want to research. Many research projects have been set up to research former Jewish communities, and those projects are what I’ve linked to in the compendium. Gesher Galicia – Galicia was a region of the former Austrian Empire, which is now split between Poland and Ukraine. Gesher Galicia is a very active group researching Jewish families from that region, and collecting original records from archives in Poland and Ukraine and making them available in its All Galicia Database. 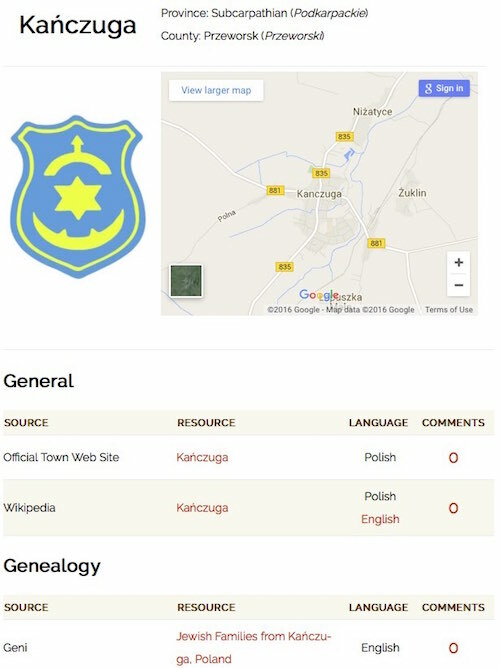 Their town listing is automatically generated from information on each town including the pre-war administrative districts and map coordinates, and lists how many Gesher Galicia members have indicated they are researching each town (in their Gesher Galicia Family Finder). IAJGS Jewish Cemetery Project – Often overlooked, the IAJGS Jewish Cemetery Project is a massive database trying to list every known Jewish cemetery on the planet. There is a huge amount of information contained in the database, although nothing about specific burials (that’s left to the JewishGen Online Worldwide Burial Registry, although there’s no way to link to information in JOWBR for a specific town). If you want to find out if a cemetery exists in your ancestral town and what condition it’s in, this is a good place to start. JewishGen Communities Database – This is a database of towns worldwide with confirmed Jewish communities. Unlike the much larger JewishGen Gazetteer which has over a million localities in over 54 countries based on the U.S. Board on Geographic Names database, the JewishGen Communities Database is a curated list of roughly 6,000 towns where there is known to be, or have been, a Jewish community. For each town, the database links to other resources on JewishGen, as well as selected resources on other sites. The town pages have other very useful information, such as a list of the closest towns in the database to the current town, as well as alternate names for the town in different languages. 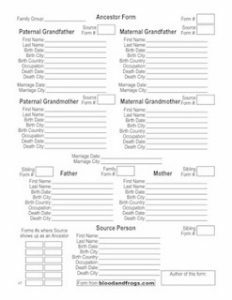 JewishGen Family Finder – The JewishGen Family Finder, or JGFF, is a significant resource for potentially finding other relatives. The idea is simple, you add a list of town/surname pairs to the database. If someone else is researching the same surname from the same town, then they will find you when searching the database, and hopefully contact you. I wrote about how to get started with the JGFF on the JewishGen blog back in 2011 (JewishGen Basics: The JewishGen Family Finder) and I recommend reading that post as an introduction if you haven’t used JGFF before. JewishGen KehilaLinks – Originally known as ShetLinks (as in links to Shtetls), the KehilaLinks project is, for the most part, a attempt to create pages memorializing former Jewish communities. In some ways you can think of KehilaLink sites as modern version of Yizkor Books. The difference, perhaps, is that while Yizkor Books were published by former residents of their communities, at this point KehilaLink sites are being produced primarily by descendants of the residents of these communities. The amount of information available for each town varies wildly, as they are solely edited by volunteers for each town. If you have additional information to contriubte for your ancestral town, I recommend contacting the coordinator for your town and sending them your information to be added. JewishGen Yizkor Book Project – An amazing project that seeks to collect information on all Yizkor Books published, extract lists of the dead (necrology lists) from them, and translate them. Yizkor Books were for the most part memorial books published by the survivors of communities destroyed during the Holocaust. These books were published in the decades following the Holocaust, frequently in Yiddish or Hebrew, mainly in the US and Israel where landsmanshaftn for these communities existed. Many of these books contain lists of those who were murdered during the Holocaust, memories about what it was like to live in the communities, photographs of people, etc. They are incredible resource that many people have not been able to leverage in their research due to their scarcity (they were privately published in small quantities for members of the community) and the language barrier, but this project is looking to make these books more readily available online, and to offer translations of some or all of each book online. JRI-Poland – Formally Jewish Records Indexing – Poland, JRI-Poland is a decades-long effort spearheaded by Stanley Diamond to index and publish Jewish vital records from Poland (and places that were formerly part of Poland). Working with local archives in Poland and elsewhere, JRI-Poland has managed to index over 5 million records from over 550 towns. While the index can provide most of the information in a record, the records on JRI-Poland also give you the information you need to order copies of the records from the local archives. More recently as many of these records have gone online, JRI-Poland has linked directly to the digital copies of the records on Polish archive web sites. 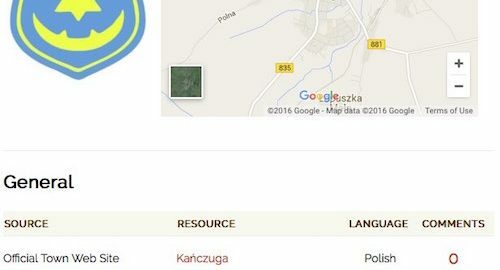 JRI-Poland’s town pages generally includes the map coordinates for the town, and sometimes the province. Links to off-site resources can include links to the JewishGen Communities Database and Virtual Shtetl. In addition to that basic information, the town page shows you what records exist in the local archives as well as in LDS microfilms (which sometimes overlap), and gives you information on fundraising for the various indexing projects for that town. To see what is actually indexed, however, you must search in their database. Kirkuty.xip.pl – A kind of memorial to the pre-war Jewish community of Poland, this web site documents the current state of Jewish cemeteries across Poland. The site is, for the most part, only in Polish. Information is given on the history of the Jewish community in the town, and there are usually photographs of the current state of the cemetery and sometimes links to other related web sites. Routes to Roots Foundation – The culmination of decades of research by Miriam Weiner, the Routes to Roots database contains information on what vital records and other documents covering Jewish communities exist in archives in Belarus, Lithuania, Moldova, Poland, Ukraine, and to a lesser extent Latvia, Romania and Russia. Originally published in two books written my Miriam Weiner (Jewish Roots in Poland, and Jewish Roots in Ukraine and Moldova), the information is kept up to date on the web site, and has been expanded over the years to include new records that have been found. When looking to see if any records exist for your ancestral town, this database is a good place to start. It’s worth mentioning that I link to the search results for the town, which might include records from other towns with matching names, so don’t automatically assume that records in these search results are from your town. Virtual Shtetl – A project of the POLIN Museum of the History of Polish Jews, Virtual Shtetl is a large database of information of current and mostly former Jewish communities in Poland. The database of communities consists of 1971 towns, all either currently in, or formerly in, Poland. Basic information like the pre-WWII province/county and the map coordinates are provided for each community, as well as links to some other sites such as the JewishGen Community Database and JRI-Poland. While each town has different information, information can include information on the Jewish community, cemeteries, synagogues, people, landsmanshaftn, heritage cites, sites where Jews were murdered, etc. Most of the information is in Polish, although some has been translated into English. If you look on the English version of the site it will show you whether is in English, and when it comes to a resource with no translation it will show it to you in Polish. Złe miejsca dla ślimaków – Roughly translated as ‘Bad place for snails’ this blog documents places near the author’s home in Pulawy, Poland. ‘Near’ seems to be a relative term, as the author has documented hundreds of towns. These places include cemeteries (both Jewish and non-Jewish) and buildings such as former synagogues and yeshivas. The site is completely in Polish, but provides information on the places it documents, and includes photos of each place. When documenting a cemetery, the resource shows up in the Cemeteries section. When documenting a building that was once a synagogue or yeshiva, I’ve placed the resource in the Contemporary section. That may be counterintuitive, but if the Synagogue is currently being used as a bar, then that is the contemporary representation of the former Jewish community in that town. I don’t think there are any examples of a town where there is a contemporary Jewish community and the former synagogue is being used for something not connected to the Jewish community, so it shouldn’t be too confusing. Some examples of individual sites that I added include The World Society of Częstochowa Jews and their Descendants (see Częstochowa in the compendium), the Chelmer Organization in Israel (see Chełm in the compendium), and the Jewish Tarnow Facebook group (see Tarnów in the compendium). If you represent another site that has a large number of town-specific information, contact me directly and I can share a spreadsheet that can be filled out to allow records to be added easily to the site. Even if you don’t represent a site, but if you think another existing site is worth adding and are willing to collect the information needed, be in touch. If you’re a site looking to utilize some of the information on this site, such as the province/county data I’ve collected, please also be in touch. My goal is to expand access to this information, and if that means helping other sites to improve, I’m more than happy to help them. I hope people found this information useful, and that you will share this with your friends (perhaps on Facebook or Twitter?) who may not yet know about the availability of these resources. Let me know what you think in the comments below. I’m going to start with a digression. I’m not sure if you can digress before you have a main topic, but here we go. The Jewish records were, actually, destroyed (it did happen sometimes). The archivist knows exactly what records exists, but doesn’t care to tell you about them. The archivist doesn’t differentiate between Jews and non-Jews, and even though records were kept separately in the past, does not index them separately and thus is just saying there are no separate Jewish records (or a previous archivist did this, probably during the communist period, and this archivist doesn’t know the difference). The archivist is ignorant of what Jewish records exist. Really only the first two possibilities are likely. It’s not likely that different collections would or even could be mixed together (certainly an archivist would realize the documents come from different collections), and it’s not likely an archivist would not know of the contents of their archive. Obviously sometimes it’s true, the records were destroyed, and the archivist is telling you what happened. Sometimes, however, archivists seem disinclined to lift a finger to help you, for whatever reason it might be (laziness? antisemitism?) which you can decide on your own. So how do you know what records exist for the town you’re researching? For records in (or in what once was) Poland, you can try searching JRI-Poland to see if they have indexed records for your town. There is actually a list of towns on the JRI-Poland web site, and if you follow the link to the town page you can find out many of the records that have been indexed for that town. Some records may not be listed, however, so it’s always a good idea to contact the town administrator and ask if there are other records as well (which might cost money). One of the most important sites for Jewish genealogists is The Miriam Weiner Routes to Roots Foundation (RTR) site. Miriam Weiner has worked to inventory the Jewish holdings of archives across Poland, Ukraine, Belarus, Lithuania and Moldova (and some in Romania). This information was originally published in two books covering Poland, and Ukraine and Moldova, which are now largely out of date, but the information is updated and expanded on the web site. Whenever new Jewish records from specific towns are located, they are added to this database. In other words, if you want to see if birth records exist from your ancestral town, you search for the town, and can see what records are known to exist for that town. The records that exist may be in the local archive, might be in an archive in a country that used to be the same country as where your town is (such as the L’viv, Ukraine archives for records of towns in Poland), or could be in archives like CAHJP in Jerusalem. For example, see the records available for Kanczuga, Poland (9 records groups), Odessa, Ukraine (16 records groups), and Krakow, Poland (30 record groups – including one from CAHJP). I’m happy to see that the site has been improved, and it is now easier to get to the search interface. In addition to the archival catalog, RTR has recently started added it’s own name databases. I’ve linked directly to the database search pages for each database. This is an interesting development for RTR, and it will be interesting to see how these new databases develop. Hopefully they will add a single search interface for all the name databases in the future. It’s always exciting to see new databases made available for Jewish genealogy. The previously mentioned JewishGen Memorial Plaques Database and four new databases in IGRA’s All Israel Database, as well as eight new databases added to Gesher Galicia’s All Galicia Database (I hope to post about this in the future), and these new databases from RTR all contribute greatly to Jewish genealogy. Certainly an exciting time to be involved in Jewish genealogy. Many Jewish researchers will find that some members of their family originated in what is now, or once was, Poland. This post is targeted at Jewish researchers, but anyone who has roots in Poland may find (at least parts of) this information useful. I have many examples in my own family where relatives had said they were from Russia, when the town they came from is currently in Poland. This is a particularly important point when you find records on your family in the US, such as a passenger manifest from their arrival to the US, or naturalization papers, when they say they were born in Russia. Don’t assume that means the current country is in Russia, unless you know the city and can confirm that on a map. 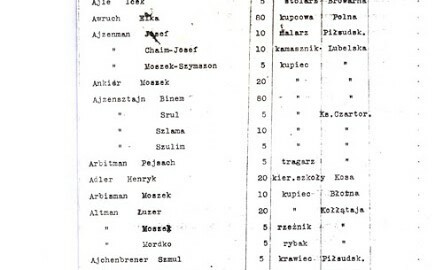 I’m not going to go into how to find where your family comes from in this post (that will in future posts), but rather once you know where and when your relative was born (and that place is or was in Poland) how to find vital records connected to that relative. So let’s begin. You know the name of your relative, and where he was born and when he was born. If you don’t know the exact date, that’s okay, we’ll deal with that a little later in the post. The first place to start your search is JRI-Poland. 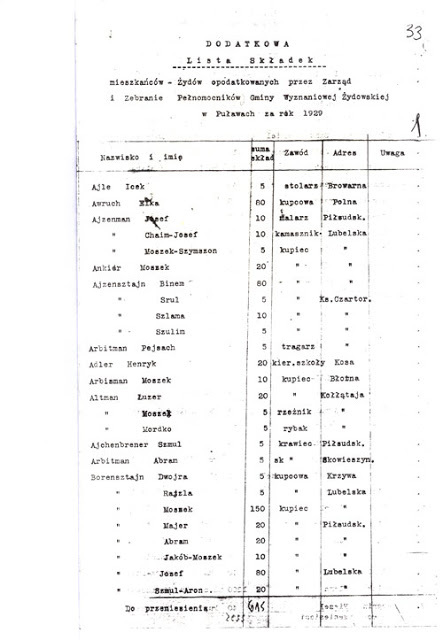 JRI-Poland is a database of indexes to Jewish records in what is now or once was Poland. The indexes come from a number of sources, but there are two primary sources: JRI-Poland’s own JRI-Poland/Polish State Archives Project and LDS Microfilms. Basically, the LDS church microfilmed over 2 million Jewish records, including from some towns whose records were destroyed in WWII. Even with so many records, however, the LDS films do not cover the majority of records in Poland. Those records and their indexes are preserved on microfilm and accessible in the Family History Library, or from the many Family History Centers around the globe. Of course, the records may be in Polish, Russian or German depending when and where they were created, so it is not so easy to access those records without knowledge of the relevant language. Initially JRI-Poland worked to index records not in the LDS microfilms, since so many were not even available on those films. They created a joint project with the Polish State Archives where they photocopied the index pages for each archive and then hired local workers in Poland to transcribe each record from whatever language they were in to English (or rather, to latin script). JRI-Poland carried this out by arranging for people to figure out all the towns with records of Jewish people in a particular archive, then raising money from researchers interested in each town. Thus researchers would contribute money to the indexing efforts of the town from where their own family came. As JRI-Poland indexed millions of records this way, they eventually turned back to the LDS microfilms and worked to create computerized indexes in English to those records as well. JRI-Poland has indexed more than four million records so far, from over 500 towns. You can choose which parameters you want to search, but usually this will be Surname and Town. You can, if your surname is rare, try searching with just the Surname to try to figure out the town, but as I mentioned for the purposes of this post I’m assuming you know that already. In the above example I’ve used the surname Eisenman and the town Tyszowce. Note that for the Surname I’ve used ‘Sounds Like’ as the setting and for Town I’ve used ‘is Exactly’. The reason for using ‘Sounds Like’ for the surname is that it is very common for there to be multiple spellings for names, even for the same family in the same town. Records from one town were not necessarily all transcribed by the same person, so even the same name in Polish might show up spelled differently depending who was transcribing it. The reason for using ‘is Exactly’ for the town name is that each town has an exact spelling, which corresponds to the currently used spelling for the town. As you do your research into towns, you should always use the current spelling of the town, and in this case you should figure it out before searching so you don’t get listings from many similarly sounding towns which are irrelevant to your search. As you can see in the captions, one set is from a microfilmed index, and one is from index pages copied from the actual archive in Poland. How do I know this? Take a look at the first image – the last column is called ‘Film’ and the number listed is the LDS microfilm number. If you were to search the LDS library on FamilySearch.org, you would find that there are actually seven microfilms that cost the vital records of Tyszowce from 1826-1890. The first record is from microfilm 766305 and the result shown in the snapshot above are from 766306. Also note that the first two records are children of the same parents, but their last names are spelled differently (and both different than the way I spelled it in the search). This is why you need to use the ‘Sounds Like’ setting for names on the search. In the second image, you’ll notice there is no ‘Film’ column. In addition if you look closely in the result set description at the top, there is an extra line compared to the first set, where it says ‘records in Fond 785 in Zamosc Archive’. Note that these records are in the archive of Zamosc, a nearby town, and not in Tyszowce itself. With the above information anyone with access to LDS microfilms should be able to find the specific record you want. The Family History Library and its associated Centers will not send you copies of records from their microfilm, someone has to actually access the microfilms and copy them. There are a number of ways to get copies, some easier than others, some more or less expensive. First, you can go to the Family History Library in Salt Lake City, or one of the Family History Centers and try to get the record yourself. Keep in mind that if you’re going to one of the regional Centers, you will probably need to order the microfilm in advance, and then return to use the microfilm. If you are interested in copying a large number of records this might make sense, although remember that the records are in Polish, Russian or German and if you’re not familiar with the necessary languages it might be difficult to find the records even if you know where to look. If the number of records you want are small, it will almost never be worth going to the do the record retrieval yourself. Next, you can have someone else go to the Family History Library for you. For other types of records, particularly those in the US, you can sometimes find volunteers to look up records for you. Examples of places to find such volunteers include Random Acts of Genealogical Kindness and photo volunteers on Find A Grave. In this case, however, I think you will need to find either a friend or a professional researcher to help you. There are many professional researchers who live in or around Salt Lake City and who will go to the Family History Library for you and retrieve records for you. Keep in mind that not all researchers will be familiar with records from Poland, so you’re better off finding someone who has experience working with Jewish records from Poland. One researcher you can try is Banai Feldstein, from Feldstein Genealogical Services in Salt Lake City. She can retrieve records and e-mail you scans of the copies, and you can pay her via PayPal which is a nice plus. For other researchers that specialize in Jewish records, check out the Researchers Directory on the Jewish Genealogy News web site. Lastly, there is another option, but only in some cases. Beit Hatfutsot (formerly the Diaspora Museum, and now called the Museum of the Jewish People) in Tel Aviv has a collection of LDS microfilms that cover a good portion, but not all, of the Jewish records in LDS microfilms. You can see the full list of the films they have by browsing the database here. If they have the microfilm, they can make a copy of a record and mail it to you. Their rates are very reasonable, only 5nis in Israel and $2 in the US for copied records, including VAT in Israel and mailing with a per-order charge of 10nis (I guess $4 in the US?). While cheaper than using a professional researcher, you need to wait several weeks and you need to receive the records in the mail, since they do not scan and e-mail records. If you were to browse the database for Tyszowce (the town in my example above) you would see they have five films from Tyszowce, not the full seven listed above. That means that if you find records from one of films not listed in the museum’s collection, then you will need to go with one of the above methods. In the first record listed above, which I transcribed the details to, the film number is listed as 766305. If you look at the list on the museum’s website they do indeed have that film. If you want to order more than one record, then you just click on the ‘Add Another Microfilm’ button at the bottom and another set of fields will pop up for you to fill in. So once you fill in your contact info, add the records you want, and add your payment, you just click the Send button at the bottom of the page and then wait a few weeks for the records to arrive. You’ll notice I’ve added in the Fond number from the collection title. The Fond is the collection of records that this record is contained in, and the Akt number is location of the actual record within the Fond. The first thing you need to do to get this record is to find the Zamosc Archive, where it is listed as being located. JRI-Poland keeps a list of archives that you can refer to to find the archive. Oddly they only list the mailing address and e-mail address, and not the web site for each archive, but the e-mail address should be enough. You can try searching online for the full name of the archive (in this case ‘Archiwum Państwowe w Zamościu’ and seeing if they have a web site (which in most cases they will). In this case the web site shows up as http://www.archiwum.zam.pl/ and if you go to the site you’ll find they have a little British flag in the corner that takes you to an English version of their site. The fact that there is an English web site is a good sign, as many archives do not bother. The web site will tell you more about the records available, and might tell you the pricing for ordering records. In this case the site is not very complete, so it isn’t that useful, but if you browse through the Polish version of the site, you’ll find at least one useful piece of information: the archive’s bank details. Most archives will require you to transfer money directly into their bank accounts in order to fulfill your order. This is annoying to be sure, but there’s not much you can do about it. In my own case, I’ve sometimes had to pay a larger bank transfer fee than the fees the archive was charging me – certainly something which is frustrating. So you want to contact the archive. You have their e-mail address. What do you write? Well, first you need to decide if you want to try English, or jump ahead to Polish. Many archives do not have English speakers, so you might not really have a choice. If you send an e-mail in English and get no response, you should try Polish. How do you send an e-mail in Polish? I suggest trying Google Translate. It’s not perfect, but you can check its accuracy in a fairly simple way. I start by writing in English and having it translate to Polish. Then I copy the Polish text and switch the translation direction (click on the little two-way arrow button between the language names) and paste in the Polish text. If the text comes back with more-or-less the same meaning as what I originally wrote, I assume the translation will be understandable to the person receiving the letter. You can always include both the English and the Polish text in your letter if you want. Please inform me how much it will cost to order these records and how I can pay for them. Proszę o poinformowanie mnie, ile będzie kosztowało aby te dane i jak mogę zapłacić. Please inform me how much will it cost to these data, and how I pay. Not bad. Probably the text is close enough. Proszę poinformować mnie, ile będzie kosztować skanowanie tych dokumentów i jak mogę zapłacić. 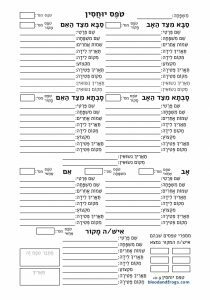 Now you need to fill in the information on your record, translating the field names like Surname, Given name, etc. Opłata za poszukiwania wynosi 25 zł. Opłata nie jest zwracana w przypadku kwerendy negatywnej. W przypadku odnalezienia aktów powiadomimy o ich liczbie i dodatkowej opłacie 5 zł od skanu. Search fee is 25 zł. The fee is not refunded in the event of a query in the negative. If you find an update on the acts of their number and to an additional charge of 5 zł scan. It’s not perfect, but it’s understandable. The cost of searching is 25zl and scans are 5zl each. It then lists the archive’s bank details (which are the same as the page we found earlier). Now you can send 25zl and then 5zl later, but frankly the cost of sending money internationally is expensive, so I would suggest just sending it all at once. 30 zloty is about $11 (US). How do you send money to the bank in Poland? It’s not so easy. It would be nice if the archives would start using PayPal or something similar, but I haven’t found one yet that does, so you need to figure out how to get money into their accounts. You can always give the bank account information to someone in your bank and ask them to transfer the money. Many banks actually let you set up an international money transfer online. I’ve done this from the web interface to my account at Bank of America. It’s pretty easy, but it’s not cheap at $35 per transfer. That’s a lot more than the 30zl fee you’re sending the archives. Another option is an online money transfer company. I’m not going to recommend any of them since far be it from me to recommend someone who will be handling your money, but one such company I found is Xoom.com. They let you send money to accounts overseas for only $5 per transfer ($10 if you want to pay with a credit card instead of withdrawing the money from your bank account) but you need to send a minimum of $25. Thus if you were ordering that one record you’d be sending $25, which right now is about 70 zloty. That means you’re sending an extra 40 zloty. One way to look at this is that you could spend $46 to send $11 to Poland ($35 bank fee plus $11 to the archive), or $30 to send $25 to Poland ($5 Xoom fee and $25 to the archive). Of course the Xoom option sends more than twice as much money for less overall cost to you. In this case, since you’re sending more money I would just ask for more records. Look up what other records the archive has, and ask them to look for other records connected to your family. It’s not a perfect situation, but usually you’ll probably be order more records and it won’t matter as much. This makes entering the data into whatever fields your bank or other service asks for much easier. How do you know what archives are actually available for the town you’re researching? JRI-Poland has not indexed every record, and doesn’t have many records that are not vital records. Many other records exist, such as census records, voter lists, notary records, etc. There are basically two ways to find out what records exist for a given town. First there is Miriam Weiner’s Routes to Roots Foundation. If you click on ‘Archive Database’ on the left menu and then ‘Archive Documents’ under Search on the right, you’re brought to the search page. If, to continue our example, you search for Tyszowce, you’d find there are 14 record groups. These are spread among archives in Tyszowce, Zamosc and Lublin, as well as one record set at the Jewish Historical Institute in Warsaw. Record types include Birth, Marriage, Death, Voter Lists, Kahal/Jewish, Tax Lists and Notary Records. Sometimes a single record type (such as Birth) are spread among many different archives. In this instance, birth records for 1826-1875 are in Lublin, for 1876-1897 are in Zamosc, and for the years 1898-1915; 1920-1923; 1925-1926; 1928-1938 are in Tyszowce itself. Let’s say you want to search for Notary Records. Those records are in the Zamosc archives, so you draft a letter similar to the above letter and send it to them, asking how much it costs to search for records. As there is no index, you have no idea how many copies you might receive, so perhaps ask the archive if you can wait to pay until after the search is complete. If not, perhaps send some extra money to cover a few copies and ask them to charge you if the copies exceed what you send only. In the above example, you could ask the archive to search the notary records to use up the extra money you sent. The second resource you can use to find other records for your town is the Polish State Archives’ PRADZIAD database. The search interface is in English (if you click on the British flag) but the results will be in Polish. Google Translate is useful here – you can use the built-in translation feature of the Google Chrome browser, or the ability to translate pages on the fly in Firefox or IE using the Google Toolbar. Thus you can translate the results. You can choose the types of records in the search, but I suggest just doing a full search on the town. If you were to search Tyszowce in this interface, you would find 22 record groups. Many of these overlap with the Routes to Roots list, but some of these are religion-specific and not Jewish, so probably the Routes to Roots list is more comprehensive. While the PRADZIAD list is primarily, birth, marriage and death records, the Routes to Roots list also had voter lists, notary records, etc. However, if you look closely you’ll notice that there are some relevant records listed in the PRADZIAD list that are not in the Routes to Roots list, specifically Birth records from 1810-1825, which are not listed in Routes to Roots. Basically, when looking for records not indexed in JRI-Poland, make sure to search both Routes to Roots and PRADZIAD. So in conclusion, there are three main categories of records – records in state archives indexed by JRI-Poland, records on LDS microfilm indexed by JRI-Poland, and records in archives not indexed by JRI-Poland (which you can find and then contact the archives to find the specific records). There is a fourth category I haven’t discussed, which is LDS microfilms not indexed by JRI-Poland. Hopefully this category will disappear over time. In most cases those records are also in the archives, so you’ll still find them by searching the archives. I hope this summary was useful. If you find any mistakes, please let me know in the comments. If you have recommendation for other ways to get records, please also post to the comments. Also feel free to recommend professional researchers you’ve used that can help others with the process.